The classic Dr. Seuss story of the girl-bird who learns to like herself just as she is, presented in a delightfully lively musical style combining jazz, pop, and classical influences. Teaching self-acceptance and how to overcome petty envies and jealousies, Kapilow’s fanciful score uses a variety of instrumental timbre to evoke the story’s images. Kapilow is a very skillful composer trained by Nadia Boulanger. The scores to Green Eggs and Ham and to Gertrude McFuzz, which had its world premiere Saturday, are cheerful, brisk neo-classical affairs with lots of familiar tunes from classical music and popular culture worked into the texture; it is the kind of idiom that can move with ease from Stravinskian scrub-a-dub to some low-down blues... 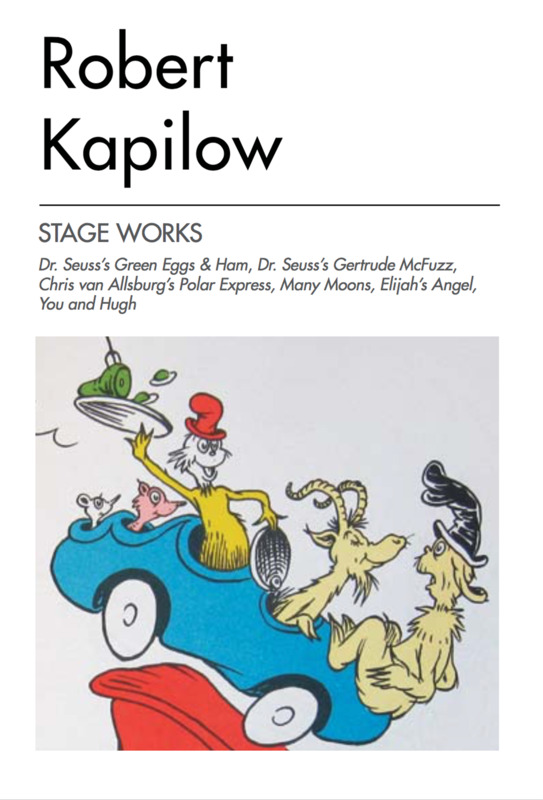 There's also an element in Kapilow's work that will remind others of the pastiche scores to early Disney and Looney Tunes cartoons. This observation is meant as a compliment -- it wasn't the intent of those soundtracks to introduce the language of concert music to generations of children, but that's what they did.